This workshop begins with a brief overview of mindfulness followed by guided standing and walking meditation. We then bring this foundation of mindfulness into dance instruction with a series of basic hip-hop moves. The workshop concludes with open, improvisational dance followed by small group reflections. I provide handouts and two guided MP3 meditations as further resources. "Student reactions and reflections were incredibly positive about their day of movement and mindfulness. I was most impressed about the student’s ability to seamlessly relate the content back to course readings and discussions." Dharma Jam is a modern Buddhist dance ritual. Beginning with collective intention and seated meditation, Jams progress through three phases aligned with the Buddha (arrival into our bodies with stillness and slow movement), Dharma (expanding the range and speed of movement), and Sangha (broadening attention from the individual to the collective dance). Refocusing and inspirational Dharma comments are offered at the beginning of each of these phases. Jams close with a danced dedication and a seated reflection circle. The movement and dance period is supported by an arcing playlist of recorded music, with attention to fostering a sacred and celebratory soundscape. "With a skilled attunement to others, no matter their age, gender, or physical ability, he created a safe environment, allowing the body the freedom to experience its own creative, unencumbered expression of being alive." 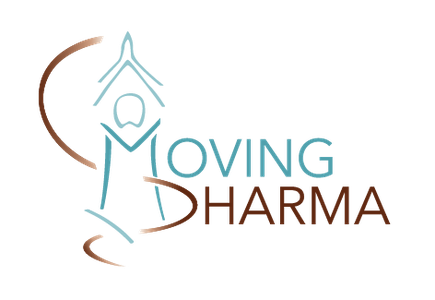 These retreats include a Dharma talk, guided meditations (standing, walking, and seated), mindfulness-based hip hop instruction, improvisational movement, and small group discussions, and conclude with a Dharma Jam. "I recommend this workshop to anyone who is interested to incorporate movement into their practice." Nectar is a space to enjoy and explore embodiment, physical expression, and the body’s wisdom. A brief opening circle on a theme or guided practice is followed by a playlist of music—beginning spacious and mellow, gaining intensity, and arriving back into stillness. 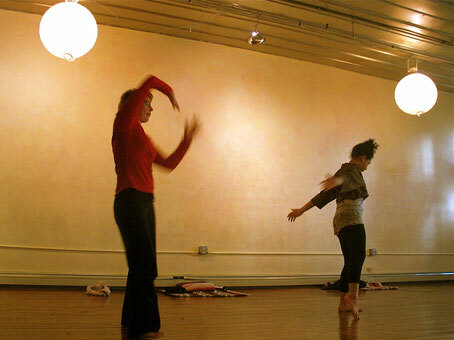 Participants are welcome to move, dance, and be still as their bodies desire. Nectar was founded in 2013 by Harrison Blum and dance/movement therapist Amorn O’Connor, and is now directed and run by Steve Carter. 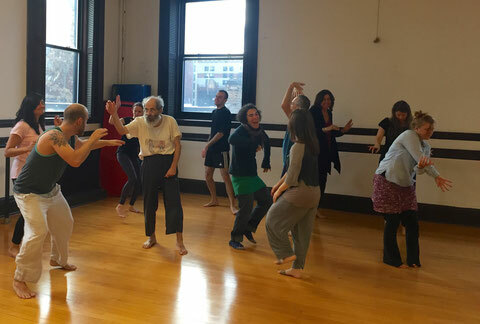 Every 1st and 3rd Sunday, 1:30-3:30pm at the Dance Complex in Central Square, Cambridge. September-May. More info. While time-limited, I’m happy to hear your thoughts if you believe I’d be a potential match for a performance project. I have performed in pieces at the Institute of Contemporary Art (Boston), the Harvard Museum of Architecture, and Club Oberon.